As well as taking in the five decks of this impressive naval ship, on Sunday 18 visitors can head to the Royal Deck Tearoom for a Fathers’ Day special – Yotties’ Cuba Libre – alongside all the yacht’s classics, including soups, sandwiches and Bloodhound Beer. Dads Rock and friends are taking over the Royal Botanic Garden Edinburgh this year for a day of free fun to celebrate Father’s Day. Families can enjoy dancing, storytelling, music, theatre and much more. Do you watch gameshows and think ‘I could that’? Then why not try a quiz and see if you can win?! The Bad Boy Pub Quiz is an evening of fun and frolics, musical statues, pass the pineapple, and the chance to win cash and prizes. The Meat House in Dundee in offering steak-lovers the chance to gain meat-eating infamy. Diners are given a one hour time limit to devour a mammoth 72oz steak and 3 sides (mac & cheese, chips and onion rings). The prize? A free meal, free shirt and a coveted place on the Wall Of Fame. 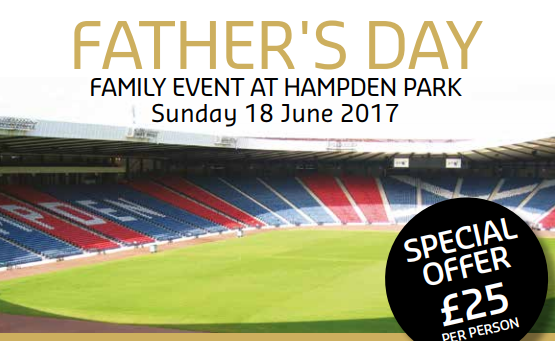 Guests can treat themselves to a two course lunch in the Millennium Suite, boasting panoramic views over the famous Hampden Park pitch. Visitors will also be treated to a VIP guided tour of the Scottish Football Museum with a unique opportunity for a family photo in the famous Hampden Cup Presentation Area. There’s free drink in it for Dad and face painting for the kids. Have a sporty day out with the family and pedal your way around the Scottish capital, as this Edinburgh festival draws to a close. Taking place the day before Father’s Day, revellers can spend their Saturday watching NCCC play via Ross County at the Northern Meeting Park in Inverness. 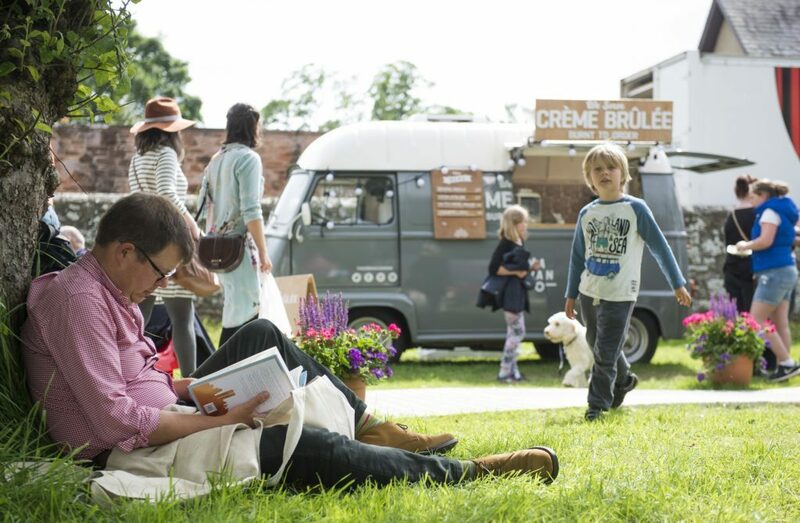 If Dad’s a bookworm then head along to the final day of the Borders Book Festival, which has both a plethora of great events on their Adult Programme, as well as a Family Festival if you’re taking along the little ones. As well as the lovely steam trains and Scotland’s largest railway museum, visitors will also see an array of vintage vehicles and special exhibition ‘Bridging the Gap’. If you pre-book, you can even have traditional afternoon tea on-board the steam train.